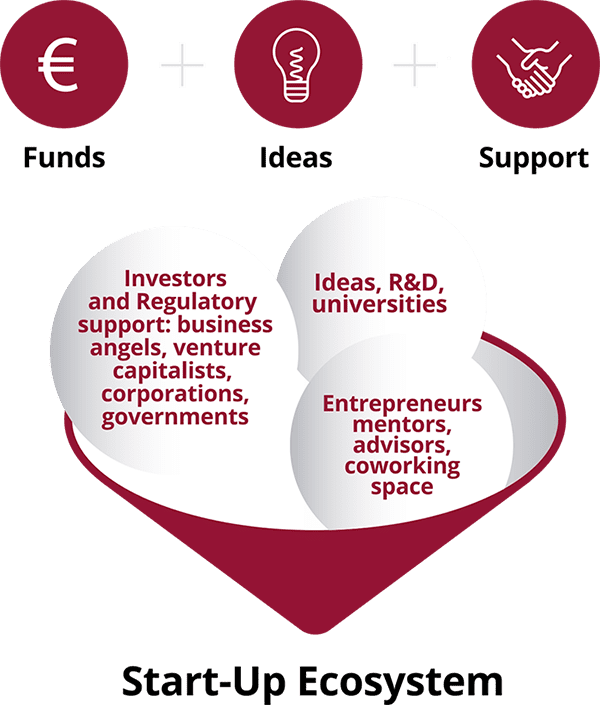 The ecosystem is formed by people, ideas and a wide range of organizations that interact to create, fund and nurture the right space for start-ups to develop and grow. But what are actually those populations and more importantly what makes a start-up ecosystem? What creates a good ecosystem? There is not a single recipe to recreate a Silicon Valley or a Tel-Aviv hub but at WA4STEAM we believe ecosystems’ success boil down to GLOBAL CONNECTIVITY, human relationships, the aim to contribute to community development and a “give before you get” approach.